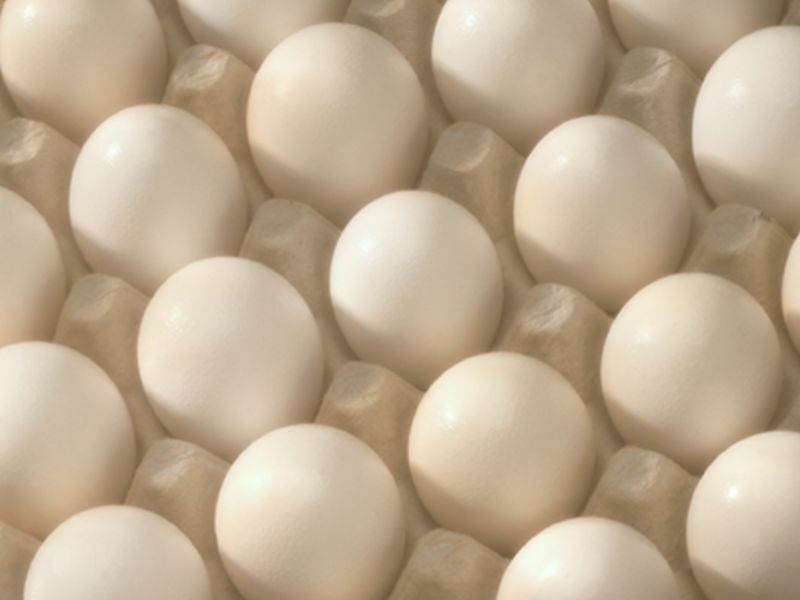 "Egg allergy is one of the most common food allergies and usually appears in early childhood. It has significant risk for severe allergic reactions and negatively affects quality of life for children with the allergy," said first author Dr. Edwin Kim, director of the Food Allergy Initiative at the University of North Carolina, Chapel Hill. Though the allergy seems to go away with age, it can last into the second decade of life. "Any treatment that can allow the introduction of egg into the diet of someone with egg allergy provides nutritional benefits and peace of mind for the patient and their family," Kim said. This study included 5- to 11-year-olds who were allergic to egg. Forty received egg oral immunotherapy (eOIT) treatment for up to four years; 15 received a placebo. After patients completed eOIT, they were told to add concentrated egg (scrambled, fried or boiled) and/or baked egg (eggs used in cookies or a cake, for example) into their diet. For five years, they reported how much egg they ate and in what form, and how they felt afterward. At the end of eOIT, half of the participants had sustained unresponsiveness (SU) to eggs, meaning eggs did not provoke an allergic reaction. Twenty-eight percent were desensitized, meaning they could eat about 2 teaspoons of pure egg without reaction, and 22 percent were not desensitized. SU patients could eat both both baked and concentrated egg, while others had a higher risk of allergy symptoms. "These results further support the effectiveness of eOIT as a safe way of desensitizing children and youth with egg allergy," Kim said in a university news release. "Past research also suggests that eating egg may actually shorten the amount of time a patient has the allergy, so any amount of egg that is incorporated into an allergy patient's diet is helpful." The study was presented recently at the American Academy of Allergy, Asthma and Immunology annual meeting in San Francisco.